Do I need a reservation to attend an upcoming class? Our guests must register in advance for upcoming events with Hue! Classes fill quickly, so make sure you secure your seat today! Join us for an upcoming event by visiting our Event Calendar today! Select the painting, date, and venue you are interested in, and we will save your seat! Oh Darn, I’m running late! Can I still come to class? Classes start RIGHT ON TIME. We recommend showing up 15-30 minutes early to prevent any missed instruction. Arriving more than 30 minutes late will prevent you from joining the in progress class. What is the cancellation and refund policy for Classes? Due to the entertainment nature and planning of our classes, NO REFUNDS ARE GIVEN. We require ten (10) minimum registered guest painters to hold a class. You will be notified via email 24-48 hours prior to your scheduled class if the minimum number has not been reached with options for rescheduling. 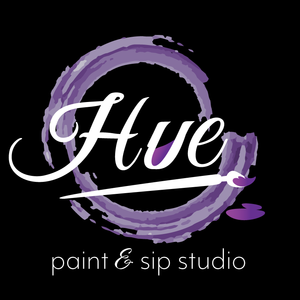 In very rare cases, Hue Paint and Sip reserves the right to cancel classes in the event of an emergency situation less than 24-hours prior notice.